There’s no better gauge of a program’s success than the accomplishments of its alumni – and no prouder moment for Ballet Caliente. Our graduates have enjoyed successful careers in a variety of fields. Some have pursued dance as a profession, while others have become scientists, lawyers, business professionals and other successful community members. Whether you danced with us last year or many years ago, we want to hear your stories and connect with you. Please fill out the Contact form – we’d love to know what you've accomplished since your time with us. Bre began her dance studies at Ballet Caliente at age 7 and continued through high school. 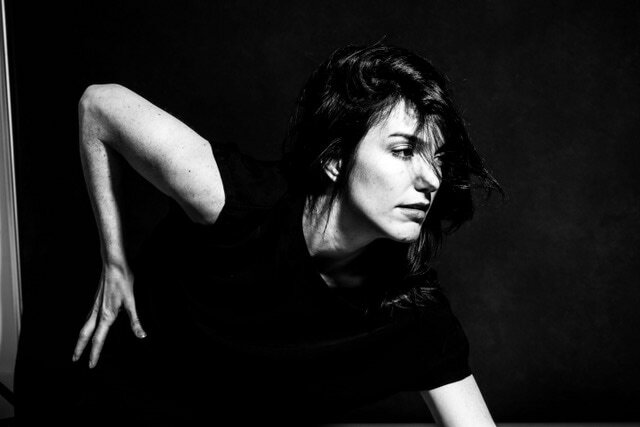 She trained at The Boston Conservatory and graduated with a BA in Dance Performance from Point Park University in 2011. While in Pittsburgh, she worked with a variety of artists including The Pillow Project, Gia Cacelano, Maree Remalia, David Bernabo, and August Wilson Dance Ensemble. Bre was awarded an artist residency at PearlArts Studios and performed a featured role in In Medias Res’ film I’m a Stranger Here Myself. I have been dancing for 14 years and I go to Point Park University where I am getting my Bachelors of Fine Arts in dance with a concentration in ballet. I am so beyond thankful to have danced at Ballet Caliente because it really fueled my passion and love for dance. It’s a very encouraging environment filled with positive and kind instructors and people. Ballet Caliente has helped me in college by teaching me the power of positivity and giving me the will power to believe in myself even in tough times. It has also taught a lot about self-discipline and confidence in myself. I felt very ready to be in school knowing I also had a great deal of physical training which has prepared me so well for what college dance has to offer. I love Ballet Caliente so much because it was a home to me once, meaning it will always have a special place in my heart. When I graduate college, I hope to become a professional ballet dancer and eventually open up my own studio. I’m staying very positive and I am very excited to see what the future holds for me. Alex began dancing at the age of 3 at Ballet Caliente! Today, she is a member of the Dancing Devils dance team at Duke University. Here's what she says about her experience with us. "Ballet Caliente not only provided me with the strong technical foundation to become a member of the dance team and the confidence to perform, but also taught me to be dedicated to my interests and to be determined to work hard." Alex intends to double major in Biomedical and Electrical & Computer Engineering at Duke University. After college, she hopes to work in the biomedical engineering field. 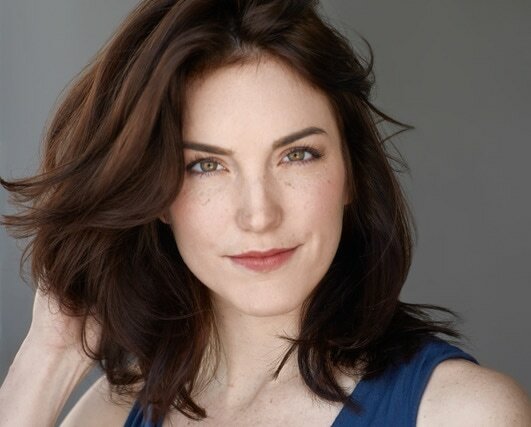 Jenifer Dillow is currently playing Vivian Pressman in the national tour of DIRTY DANCING! Jenifer is a recent graduate of PACE University in NYC where she majored in Musical Theatre and minored in Commercial Dance. Having moved to NYC at 17 years old, Jenifer has had many wonderful opportunities such as performing at The Lincoln Center as the cover for Sutton Foster in the PBS aired "Frank Sinatra: Voice of the Century Concert", performing as Belle aboard Disney Cruise Line, and performing in Garry Marshall's latest film "Mother's Day". Jenifer esteems all of her success to her incredible parents and how they enrolled her in her first ballet classes at Ballet Caliente! Jenifer is forever grateful for Mrs. Dunaway teaching her and giving her the greatest gift of all, a passion for dance! 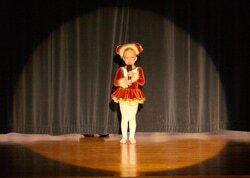 Abi began her dance studies at Ballet Caliente at the age of three and continued through high school. 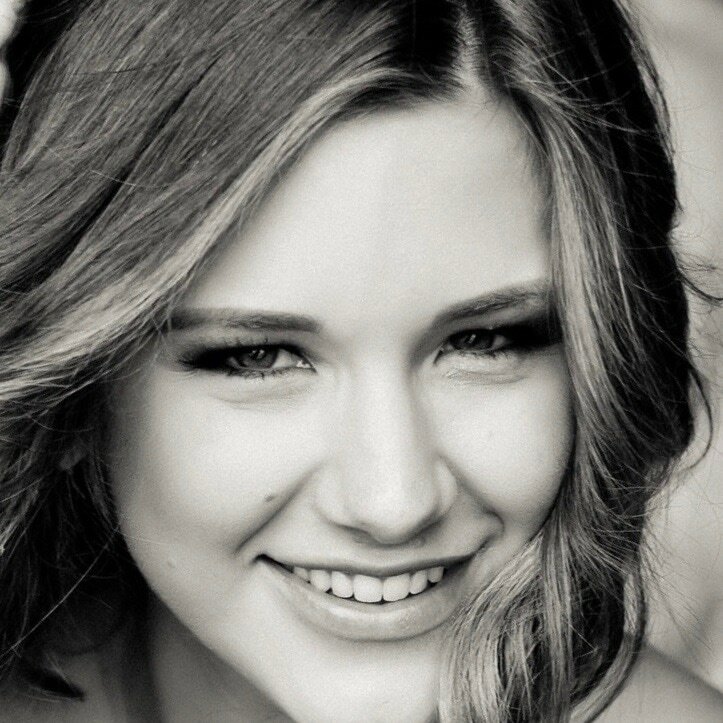 She is currently at Texas A & M University studying Tourism Management and Event Planning. She will graduate in December 2017 with a B.S. in Recreation, Park and Tourism Sciences. She hopes to be blogging full time by the time she graduates and working with events on the side. She currently is coordinating weddings on the side on the weekends and absolutely loves it! Jordan McDowell is currently a sophomore at The Ohio State University obtaining her BFA in Dance with a focus in Performance and Health and Wellness. She is also on track to complete two minors in Human Nutrition and Clinical Psychology and Individual Differences. To date, she has performed in Chien-Ying Wang’s Benevolence, the opera Dido and Aeneus directed by Scott A. Perry, and placed 8th in the nation at NDA with The Club Dance Team at Ohio State. This summer, she is excited to travel to Denmark to perform and teach dance for 6 weeks in a study abroad program with the Department of Dance. Jordan's 1st performance with Ballet Caliente! A,fter dancing with Ballet Caliente and graduating from Leonardtown High School in 2006, Carol Yeaman-Sanchez (formerly Scheffler) attended Northeastern University in Boston where she earned her BS degree in graphic design. Carol then moved to the San Francisco Bay Area where she spent five years building and leading a creative team at a technology-focused communications agency. Carol now lives in Paso Robles, CA with her husband, Zach, and their two fur babies, Wendy the German Shepherd and Doug the Heeler mix. For the past year, Carol's full time job has been the Marketing Director at a technology startup, and in her spare time still does some graphic design – she even designed backdrops and the logo for Ballet Caliente's "A Capital Day" in 2010, plus redesigned the Ballet Caliente logo in 2013. She also does freelance wedding coordination, is on the board of directors for her city dog park, and taps into her ballet training as a certified Barre Connect instructor at her local gym. Maggie Phalen danced with Ballet Caliente until 2008, when she graduated high school. 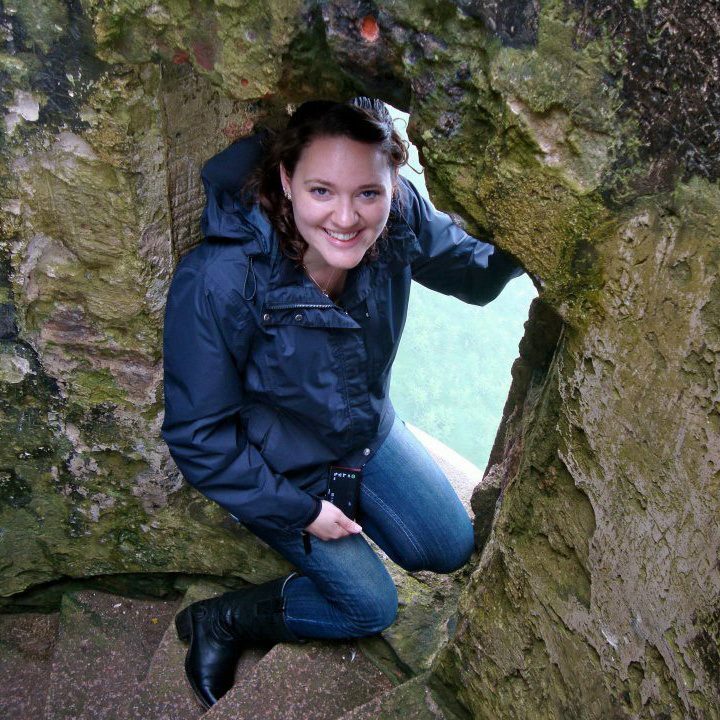 She moved abroad for college, and completed an undergraduate Master of Arts in Anthropology and Archaeology at the University of Aberdeen, Scotland in 2012. While earning her degree she participated in a number of archaeological digs in Alaska, Scotland, and even one in St. Mary's City. After graduating from Aberdeen, Maggie moved to Boston where she earned a Master of Science in Archives Management from the School of Library and Information Science at Simmons College. She has worked at a number of museums and archives, including the Harvard Natural History Museum, the Museum of Fine Arts, Boston, the archives at the Federal Reserve Bank of Boston, and Historic New England. Maggie moved back to the Washington, DC area in 2014. She has been working at the American Institute of Architects' Octagon Museum for just over two years, and is working on earning an additional graduate certificate in Museum Collections Management and Care from the George Washington University. She is interested in the ways cultural heritage institutions engage communities, and the ways in which people interact with history and historical collections. She is passionate about making history accessible to everyone, and preserving cultural heritage for future generations. While she no longer dances, Maggie still attends regular yoga classes, and tries to take advantage of as many cultural opportunities in DC as possible, including attending performances by the Washington Ballet. . In 2011, Amy graduated from Northeastern University with baccalaureate foci in International Affairs and Human Services, Health Sciences and Sociology. During her time at Northeastern, she was one founders of the university's composting program, as well as of the local chapter of Invisible Children. She studied abroad in Kenya, Serbia, Bosnia, Croatia, and Kosovo, and worked as a health promotions and research assistant at the University Health and Counseling Services (UHCS). When not studying, volunteering, or working, Amy could be found taking a group fitness class or at yoga with friends. Following graduation, Amy took a position at the Global Health Delivery Project (GHD) at Harvard University. There she served as GHD's Summer Intensive (GHDI) Program Education Coordinator, and supported GHDonline.org member communications, research, and administrative activities. She continued working part time at UHCS while also volunteering, participating in charity events and fundraisers, taking Pure Barre classes, and joining a dance group at her alma mater. Currently, Amy is working on completing her Masters of Science in Nursing at the University of San Diego (USD). She has traveled with USD to provide nursing care in the Dominican Republic and is currently a leadership intern for the local chapter of the Sigma Theta Tau Nursing Honor Society. Following graduation, Amy will join her fiance in San Antonio, TX where he serves as an Air Force Captain and pediatric resident. Amy intends to work as a nurse dedicated to improving end-of-life care, while continuing as a hospice volunteer and pursuing passions in policy, advocacy, and fitness. -I graduated from UMBC back in 2015 with two Bachelor's degrees: Psychology and Dance! Since then, I have been working full time with trauma patients in the Baltimore area and continuing my passion for working in mental health. In the meantime, I have been busy applying for Master's programs in social work or counseling. Although I have not been dancing lately, I make sure to have some adventures when I can. Last August I did some traveling and road-tripped through western Canada!